Keller Williams is the largest real estate franchise in the world (more than to 190,000 agents), also one of the largest privately held global residential real estate brokerages. You wouldn’t expect much from a 35-year old company from a traditional industry, would you? But Gary Keller, the charismatic founder and chairman of Keller Williams, is far from playing the safe bets. So in 2015, KW started to reposition itself as a tech company (as to how and why, you’ll learn in a second). The company invested heavily in its own software, the cloud, and AI. It has created its own Labs division, KW Labs, which works in a similar fashion that Google or Amazon do. One of their signature products is Kelle, dubbed as ‘Siri for the real estate industry’. 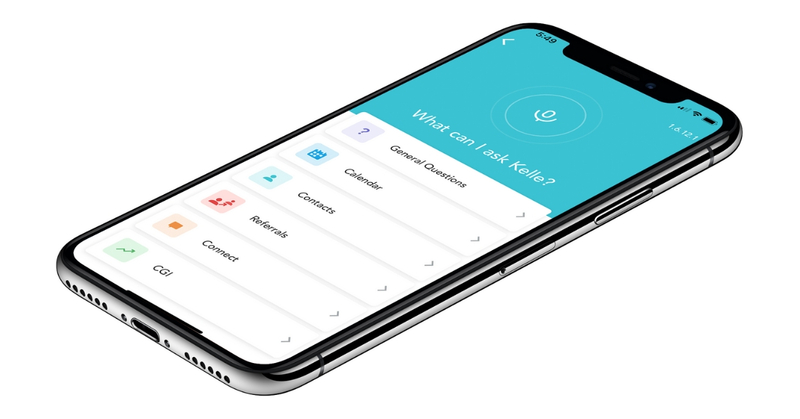 Kelle is an AI-powered personal assistant that helps agents manage their deals - answer questions, manage referrals, check their progress against career goals, and much more. No one in real estate is doing this at the scale we are - says Adi Pavlovic, director of innovation at KW. As a design and software partner for Keller Williams, we know for a fact they are moving incredibly fast in their transformation efforts. Being a market leader, they felt no reason to be complacent and to pat themselves on the back. And we are proud that Netguru is a part of Keller Williams’ journey. Kelle is one of the signature products of Keller Williams, dubbed as ‘Siri for the real estate industry’. 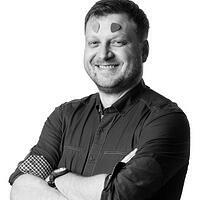 Tomasz Grynkiewicz, Netguru: Prior to joining Keller Williams you had no background in the real estate industry. Has starting with such a handicap been difficult to overcome? Adi Pavlovic, Director of Innovation at Keller Williams: On the contrary, I think it has actually been super helpful. To give you a little background - when I started at Keller Williams, the venture capital funding in the real estate technology was about 200-250 million dollars per year. In the five years since then that number is four billion. And someone finally decided to have a crack at solving a lot of inefficiencies. There was a lot of companies trying to leverage technology to modernize this vertical. A few of them succeeded, and that's attracted a lot of funding into this space. It turned out these outsiders solved a lot of inefficiencies, thus increasing productivity and also creating a lot of savings. But instead of waiting for others to cut the pie, Keller Williams decided to innovate from within. About three years ago we decided that we want to be a technology-independent company. A lot of brokers and franchisers similar to us, almost the entire industry, were dependent on third-party technology companies. They were building solutions for us outside of our own walls. The problem was that these solutions were based on long-term contracts and their goals weren't always aligned with the actual brokerage. As consumer demand started changing at a pace unseen before, and a lot more entrants started coming into the space, it created some competitive pressure. We quickly realized that we need to build proprietary software in order to give our agents the best chance to win. Since then, you have invested a lot in the cloud, machine learning, design. And you kicked off with KW Labs, a program where you invited your agents to come build software with your team. We studied a lot of different approaches to digital transformation. With KW Labs, we wanted to have a place where we could fail fast - ideate, incubate, and validate products with end users at an incredibly fast pace. We needed a place where we could work on concepts that won't necessarily align with the business goals because they are more focused on the consumer. We can say we have taken Google’s and Amazon’s way of running innovation labs and have tailored it to fit the real estate environment. It sounds kind of like garage-hacking. How did it fit Keller Williams’ structure and culture? It turned out to be a transformative process for the entire company. Originally, when we pitched KW Labs, it was a much smaller department. But that model was so well adopted internally that our leadership had this “a-ha” moment and decided to take a risk: “why can’t we have our entire product management team or entire engineering team operating within this model?”. We took the agile mindset and put it on steroids. Our speed to market is now very quick across every single thing that we do. So KW Labs ended up being implemented as a product methodology across the entire organisation. How did you manage to get a buy-in from agents to cooperate in Labs’ brainstorms and validations? We didn’t have to. Keller Williams has the largest network of agents in the real estate world and a great culture of collaboration. What we’ve inherited from the company’s culture were great relationships with agents. In turn, a lot of them are very willing to test products, to participate in focus groups, answer surveys. Their willingness to participate in Labs and be beta testers at an enormous scale is a huge advantage for us. Could you provide an example of such engagement? At our annual event, ‘Family Reunion’, our technology team hosted several labs on-site. Within three days, and with the feedback of 400 associates, the team was able to design three products agents would find useful. At another event we collaborated with associates in a Hackathon to come up with a new skill for Kelle, our AI-powered personal assistant. It took less than four days to develop ‘Map My Database’, to help agents visualize their database when they are out and about. Beyond these hacking activities, there are several business solutions available on the market already that came out from Labs. No one in real estate is doing this at the scale we are. That’s impressive. What do you perceive as a number one challenge in running Labs? Having an engaged user pool is great, but it also posed a challenge for us. We’ve quickly learned that almost every single opinion we get from our network of 190,000 agents is different than others. We were asking ourselves: are we building for the classes, or are we building for the masses? We dug into data and we found out that roughly about the top 20 percent of the agents do about 80 percent of the business. They have very complex challenges, invest a lot of money resources into technology, usually use about 10 to 15 different apps. So our challenge was how do we solve the problem for the top agent, but at the same time solve a problem for new agents who's likely going to only do several transactions a year? That is a huge endeavor and something we're still challenged with. One of the solutions and one of your signature products is Kelle. How did this AI-powered assistant come to be? We do these kind of open canvas exercises with agents when we ask them: ‘if you could have anything right now to help solve your biggest business problem, what would that be?’ In one of the labs the idea came up for a ‘Siri for a real estate’. The concept being that an agent spends about three-four hours out of the office on the road, usually driving. 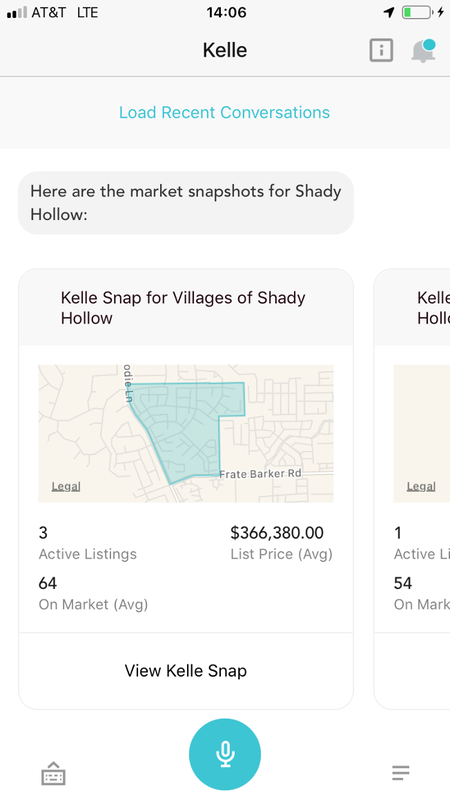 So beyond the fully-fledged enterprise mobile app, agents would also need a voice to interact with their business data as they are constantly between appointments and showings. We moved with this idea further, asking about what the first five most wanted skills would be. That's how the concept of Kelle was born. Kelle started out performing simple tasks, but thanks to AI capabilities we can teach Kelle and it's becoming smarter every day. The learning process is happening so quickly that we do feel like we are building the ‘Siri for real estate’. What are the most important features that make you believe that Kelle stands out from the market? I'd say we were the first to market in terms of having complex tasks being completed via voice. We had to make Kelle replicate the experience of Apple’s ‘Siri’ or Amazon’s ‘Alexa’ because consumers became used to learning how to operate those voice assistants. But we're using voice in a business concept and in different contexts. Whereas with Siri and Alexa the user just wants to get answers to questions or perform simple commands, we're having Kelle perform complex commands, synced with the platform full of business data. And we’re just getting started. Today we show confirmations via text, but the next leap for us is going to be doing that via voice bidirectionally, from the assistant to the agent, and also being proactive with notifications. What would you name as the major challenges in building Kelle? We solved a lot of challenges in terms of natural language processing. We learned that the terminology that agents use varies state by state or even from team to team, as they like to build their own vocabulary. Usability was the next huge challenge for us. We had to go beyond simple with Kelle. The design concept was very minimalistic, the very first iteration was nothing but a simple microphone button. After a few months, we got over about 4 million inquiries into Kelle. I can't share the metrics of how many of those we've successfully identified. But we see that there is still room for improvement and by using machine learning we can quickly learn what to prioritize as the next thing Kelle needs. From Netguru’s perspective, being a part of such a journey is exciting. What value did we add to Kelle? It's been an immense help. Netguru has been the best agency we've worked with so far. Your team understands Kelle and is able to design new skills, features, and interactions within our model, with a great focus on speed to market. Netguru has also been great in terms of having the ability to understand how to balance your own design experience and the best design practices with the outcome of the KW Labs sessions. I'd say the number one thing that's been the most helpful was and is understanding which features backed by users should be incorporated into the final designs. Thank you for your kind words. Coming back to a broader perspective - what makes Keller Williams stand out from its real estate competitors? We were one of the first and the first major brand to come out and say: “Hey, we're no longer a real estate company, we are tech company now”. Surprisingly, we got some criticism for that. You’re also the hardest one to pivot. That’s true, and that is why we're pivoting away from a lot of the things we used to do in the past. It's uncomfortable, but exciting at the same time. We've changed our approach to hiring, we're now bringing different talents to Keller Williams. We're changing our contracts, our vendor relationships, and so on. Naturally, it's creating a lot of friction, in a good way, we're doing a lot of new things. But we're starting to see a lot of imitators trying to replicate the things we've done. We feel that is a validation for us that we are having an influence on modernizing the entire industry. As a tech company, how do you define competition now? In terms of number of agents and volume of transactions, we've already been number one in the space. So we don’t look at the traditional brokerages as competitors anymore. We’re much more focused on the new entrants, coming with heavy technology teams and proprietary software. We had to shift our sights in terms of what competition looks like for us. In the tech world, there's a new competitor every day. How many of them will stick around? Not many. But we have a research team dedicated to looking at anyone that raises funding or venture capital funding in the real estate space. We try to determine whether they are a friend or foe. At the same time we're building the platform, so soon we will have an SDK to allow third party companies to integrate into our platform and build skills within Kelle. Would I be wrong to note that it is pretty similar to what Amazon has done? We're stealing a little bit out of Amazon’s playbook in terms of how we're going to influence the industry and how our platform will be a part of the industry. We're interested not only in conducting transactions but also in defining ways in which agents can interact with customers. We started with a personal question, and I would like to end with one as well. How would you explain your role - director of innovation - in layman’s terms? I have said that being an industry outsider was helpful for getting the fresh perspective. But there is also a lot to learn. 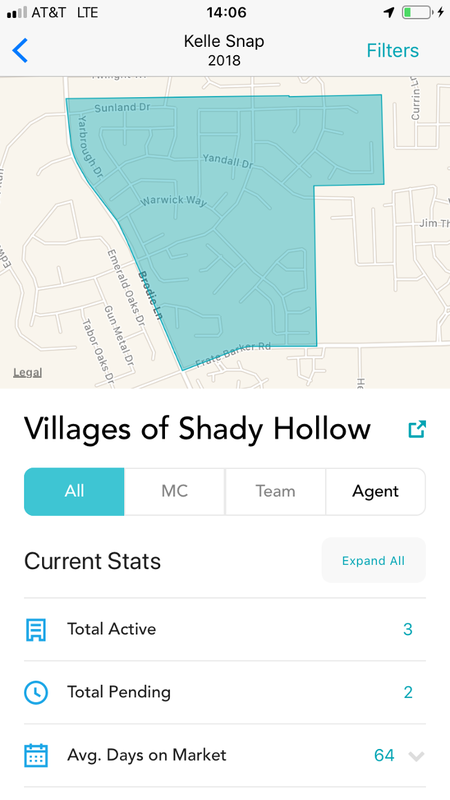 Real estate is a very unique industry, so me and my team are still trying to spend a lot of time in the field shadowing the agent, understanding what the day of an agent looks like, how a transaction looks. My job is understanding what we're going to build next. My role is to not necessarily come up with the ideas, but rather help facilitate the right team members to do the right exercises with the right focus groups to understand what the problem and what the solution is. Then, I need to translate that into designs, and these designs into a product. In a way, I’m a bridge between the design and product teams.